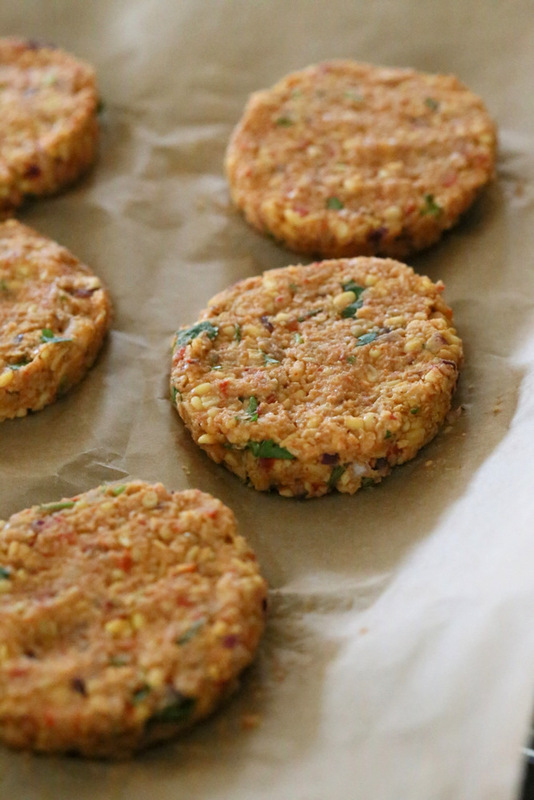 Perfect for vegans, celiacs, and those with other digestive ailments, these chickpea burgers are a lighter choice than a regular burger and are protein-rich, full of fibre and contain zero tahini. It’s easy to give in to a burger when you’re out for lunch. Burgers are filling, cheap and damned right tasty, but if you’re a Celiac or you struggle with big, stodgy meaty dishes, sometimes a burger can be a pathway to digestive hell. I’m not a celiac, but I am prone to digestive problems immediately after consuming large quantities of salty, meaty products. So to be safe, a lot of the time I opt for the veggie burgers. Whilst I’m very happy they provide a burger that I can eat, sometimes I am a little underwhelmed with the end product. Usually under-seasoned and over-sweetened, with a lot to be desired on the ‘get your money’s worth’ front, I’m typically not satisfied with restaurants and their offerings. This isn’t to say I dislike veggie burgers, rather I very much enjoy them. But I do prefer them when they’re homemade, when they’re properly thought out like a normal burger, and aren’t just a ‘pity’ burger choice on a menu. Heat half of the oil in a frying pan and fry the onion for 4-5 minutes. Stir in the cumin, turmeric and basil and fry for a further 2 minutes. In a food processor add half the chickpeas, all of the flour and the onion mix until a paste. Add the remaining chickpeas and cashews. Pulse so the texture is grainy, adding in the remaining oil. 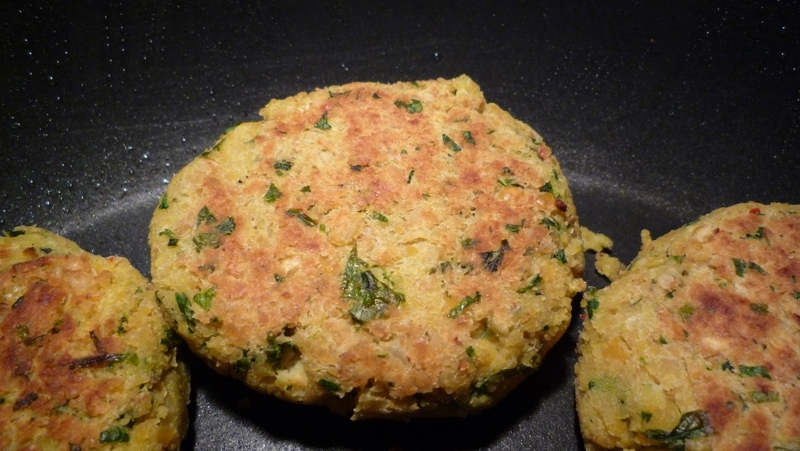 Spoon the mixture into 8 patties and fry on each side for 5 minutes or until they start to crisp on the sides. Serve on gluten-free flatbreads or pitta breads.